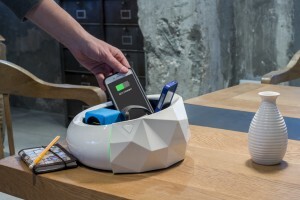 Nowadays, wireless charging seems to be everywhere. Starbucks recently introduced wireless charging pads to locations around the world, and even Ikea is adding wireless charging to its furniture. But what does this really mean? Over a century ago, Nikola Tesla first demonstrated wireless electricity transfer with his famous Tesla Coil, using high-frequency alternating current to illuminate gas-discharge lamps. But it was not until just recently that we have been able to fully understand how to harness this power and to begin to take things to the next level. 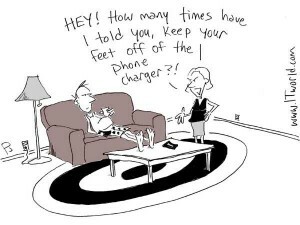 If you’ve ever had to charge a dying cell phone, or any type of wearable device that needed to be recharged, you’ve probably wondered when will we finally able to free ourselves from the immense hassle that is the charger. And while seemingly wireless technology is beginning to emerge in wireless charging mats (such as the ones being used in Starbucks or Ikea), you still need to strategically place your phone on top of the mat in order to charge it, so the technology is only ‘slightly’ cooler than actually plugging it into the wall. At Humavox, we took a different approach. Our wireless charging technology, ETERNA, is a flexible hardware platform set on making charging blend into life and be able to integrate into the tiniest of devices. Through near-field radio frequency (RF) charging, we have created a way for widespread wireless charging that lets users simply drop their wearable into a charging station. This charging station could take the form of any type of enclosure, whether it be a drawer, a box, a bowl or the cup holder in your car. Essentially this technology is blending wireless charging into all your different life environments so you can charge without even noticing. And luckily, this can be done in the same amount of time as charging with a regular charger. drop it, effective wireless charging will begin, without the need for exact placement on a pad! How do we do it? Well instead of relying on inductive charging, our technology transmits radio frequencies over a broad band of frequency waves, and converts it to voltage in order to wirelessly charge your battery. At Humavox we changed the way wearable manufacturers and consumers think about wireless charging, by changing the technology. Our hope is that wireless charging will soon be as natural to charging as wi-fi is to connectivity. And the best part? The future of wireless charging is no longer the ‘future,’ it’s the present. So, if you haven’t gotten ‘charged up’ about wireless charging yet, it’s about time you should.